Competition is for graduate and undergraduate (1st to final year) students to ensure that this is engineering design competition. 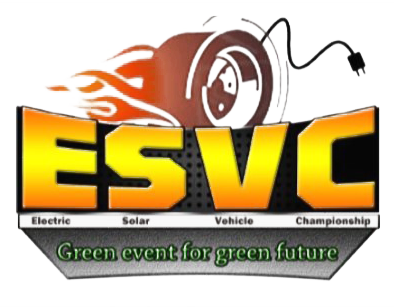 Note: Those completing their graduation in 2019 can also participate in ESVC 20. Competition is open to all. Students, faculties, and industrial professionals can also form their team. They can form their own team, or a mixed team can also be formed comprising of students and industrial professionals. For Adventure Class: Team members must be enrolled as degree seeking undergraduate or graduate or diploma student in a college or university. Team members who have graduated during the last seven (7) month period prior to the competition remain eligible to participate. For Student: Valid College ID card is required as a proof to ensure that participant is an engineering student of a university/college. For Professionals: Valid corporate ID card is required as proof to ensure that participant is an employee/engineering student of an organization/company/university/college. Team members must be members of Imperial Society of Innovative Engineers (ISIE). Proof of membership, such as a membership Id during the Team registration and Membership Id Car, is required at the event. Student Member must have ISIE Student Membership and faculties, graduate, post graduate engineers/professionals/industry professionals must have Professional Membership. If you are not an ISIE member, go to https://imperialsociety.in/membership-2/ and click Join ISIEINDIA for Students or Professionals. Please note all participants must be ISIE members to participate in the events; this is not mandatory for faculty advisors. Faculty members who wish to become ISIE members should choose an option under the “Professional Membership” link.